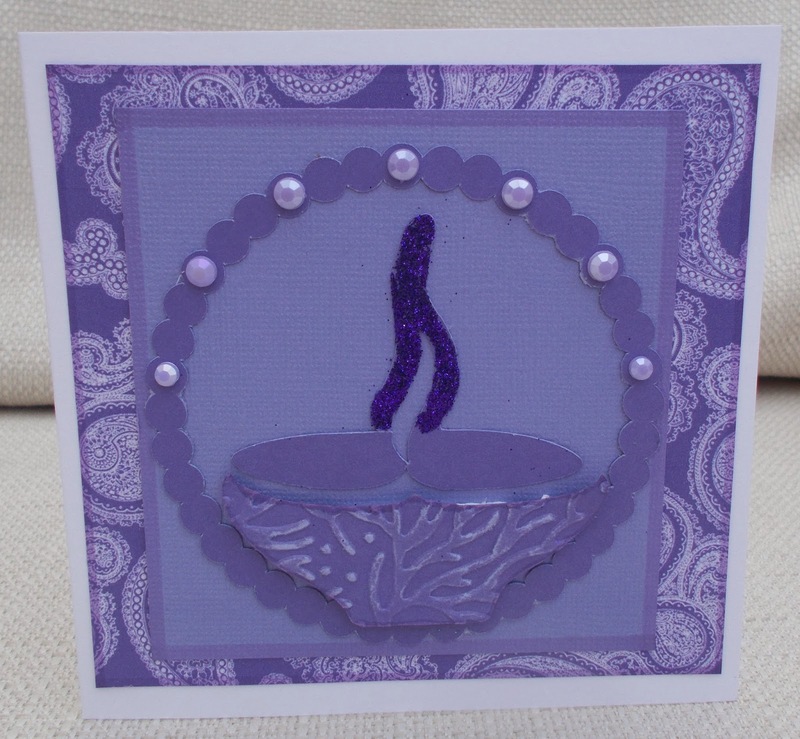 This is the first time I've made a card for the Hindu festival of light, Diwali. It's for a work colleague. As it's not my culture, I had to do a bit of research into what would be appropriate - not the best occasion to try anything too cutting edge, I felt! 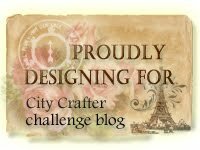 I was lucky enough to find this blog by Chaitali who has created Diwali electronic cutting files and shared them freely. I cut the lamp with Coredinations cs and embossed and sanded the base. I added glitter to the flame. a scalloped circle, lilac pearls and some paisley patterned paper printed from a Docrafts CD. "At the age of 37, she realised she'd never ride through Paris in a sports car with the warm wind in her hair'" went the depressing song by Marianne Faithful. (The Ballad of Lucy Jordan). Well, I'm rewriting those lyrics and giving Lucy some fun! This image is from the Crafter's Companion CD ' Frou Frou'. I didn't like the colours so I took it into editing software and changed them. Okay, so her hair is now green, but I think she's the kind of funky chick who'd do that. Pink Gem Challenge More than one fold. 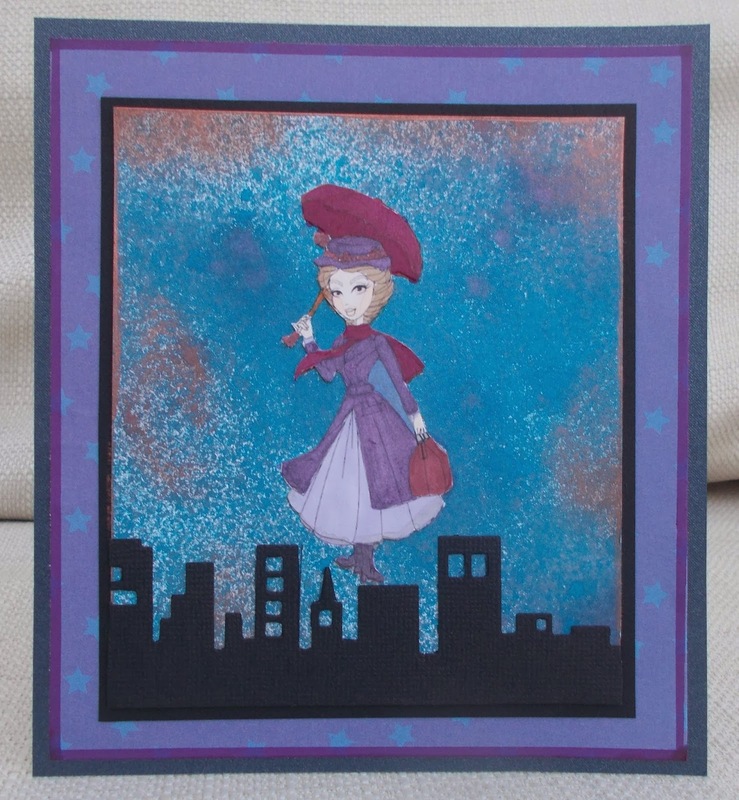 I used a digi of Mary Poppins, supplied by our sponsors, Sassy Studio . 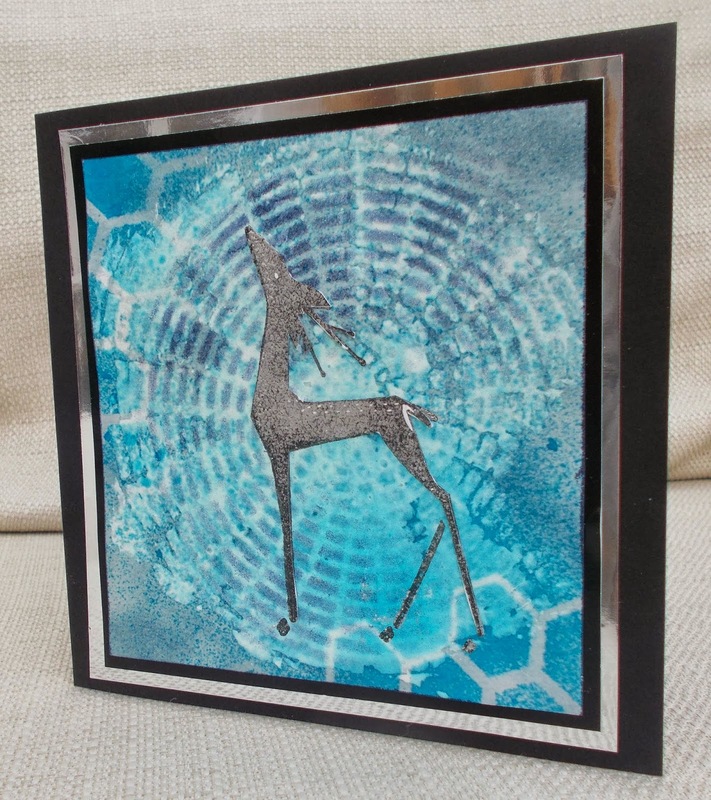 The image was coloured with alcohol markers and the backgound was made with Cosmic Shimmer sprays and copper Brilliance ink. I added a die-cut skyline. Now, I know what you may be thinking. Mary Poppins was set in Edwardian England and that skyline is definitely not Edwardian. Well, I like to think Mary is still around. Maybe that's your city and Mary is just about to drop in and take the kids off your hands. Wouldn't that be supercalifragilisticexpialidocious? 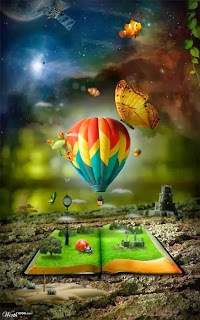 How does the picture inspire you? 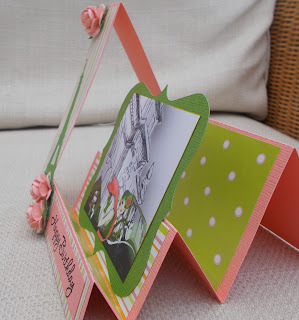 Come over to Pinspirational Challenges and join in. 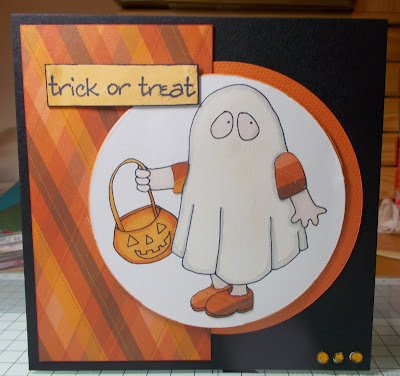 This is my final Halloween card for the year. 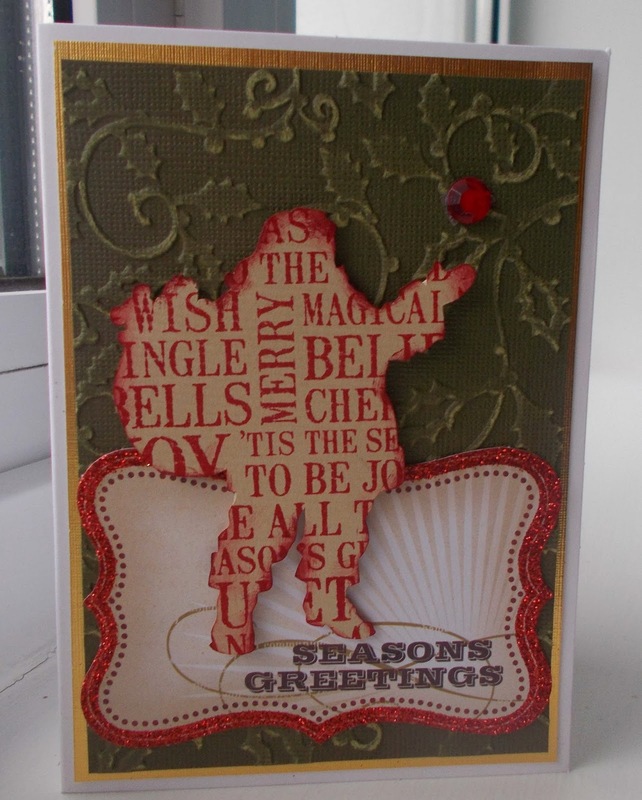 All my previous ones were for the children in the family but this one is more grown up (not too grown up though!) . 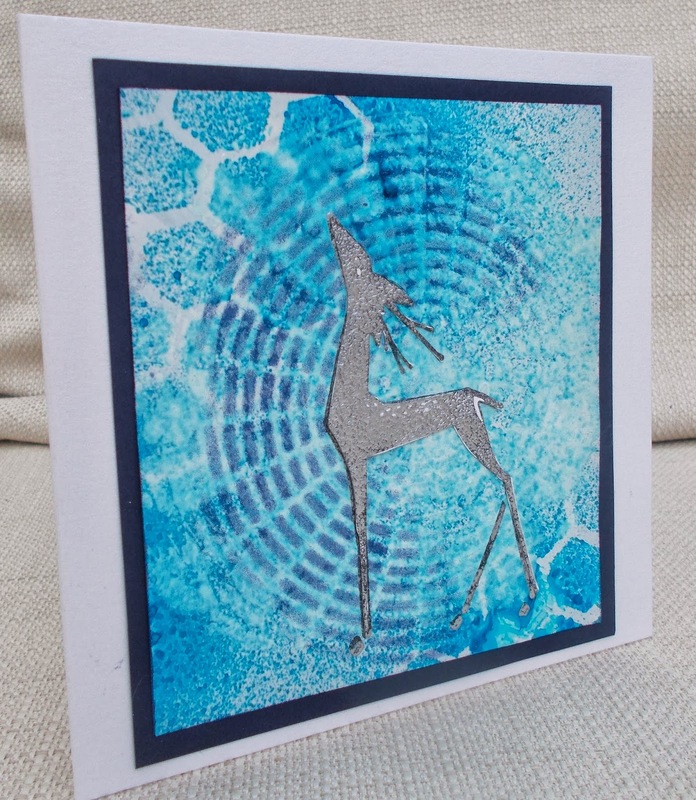 The image is a digital stamp from a Craft Artist kit. I added the word Halloween before printing and then coloured it with Promarkers. 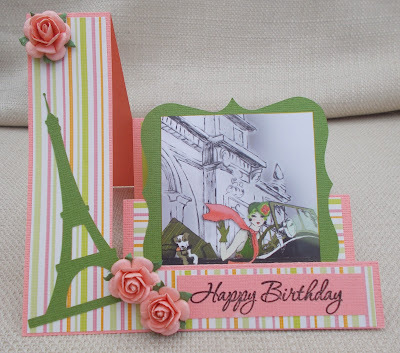 The background is patterned paper and embossed mirror card, and I added a die-cut flourish and some flowers. 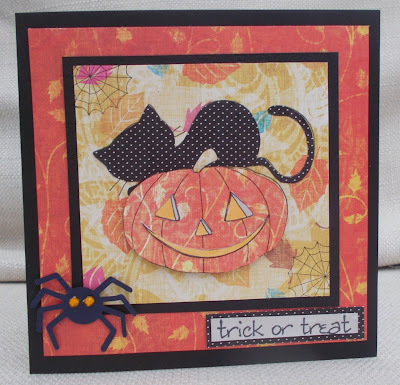 For this Halloween card, I cropped part of a background from a Craft Artist digi kit. The vampire is a pre-cooured image from Polkadoodles' Sundae of Seasons' CD - I cut him out and stuck him on with 3d foam. The sentiment is a Docrafts stamp. This should have been a quick and easy card but as usual I spent so long messing around with ideas that it took just as long as it I'd done all the colouring etc myself! Another Halloween card. 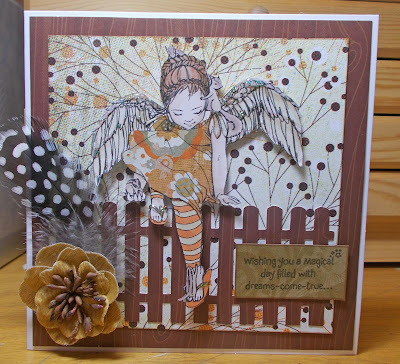 This digi is a freebie from Dearie Dolls. I coloured it with Promarkers and paper- piecing. 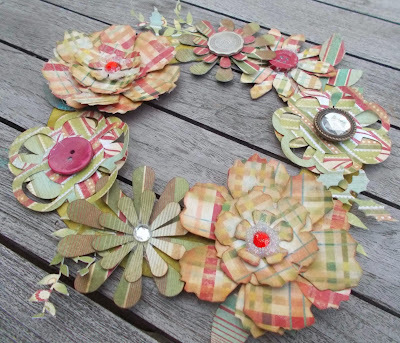 For my project , I made a circle out of an old cereal packet.I covered it with different die-cut leaves and flowers, made from Basic Grey 'Figgy Pudding' paper , and edged with Distress Ink. I added centres to the flowers using gems, brads and buttons, and finished with glitter. I hope you'll join us at Inkspirational. 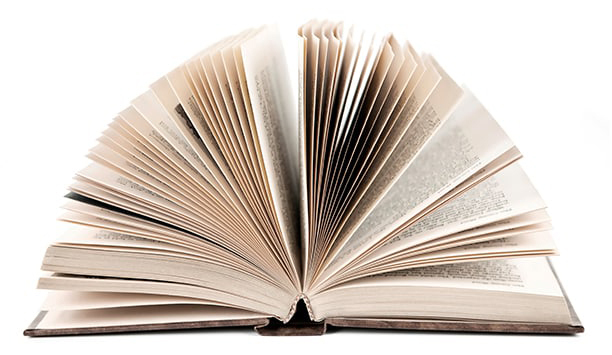 Our prize draw is still open. 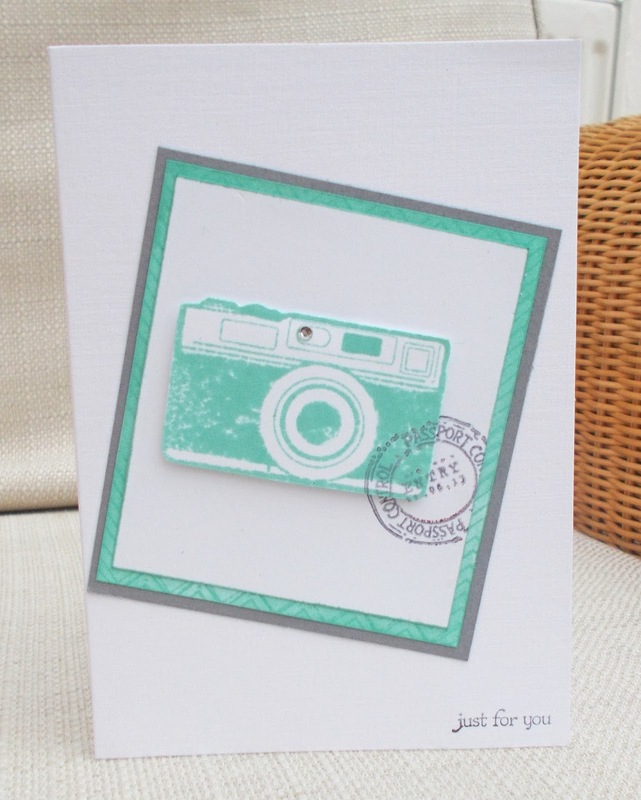 I was inspired by the photo at Inspired By, to make this aqua , white and grey card. The camera and the passport control stamps were free with Get Stamping magazine, and I used a Lawn Fawn chevron stamp on the aqua mat, and a little adhesive gem. Okay, I know this is a bit weird! I did wonder if I'd be able to play along with CD Sunday this week . The theme is 'Fox and friends' and I was pretty sure that I didn't have any CDs with a fox on them. although I did conduct a search to check. 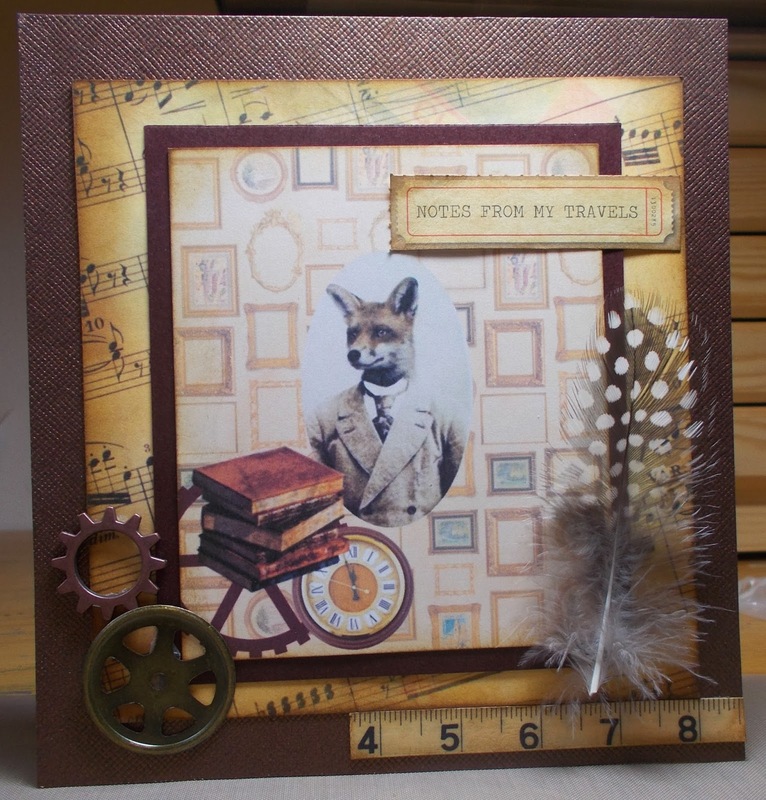 Short of ideas, I googled for images of foxes and brought up a few of foxes dressed as Victorian/Edwardian gentlemen. ( Anyone remember Basil Brush?). 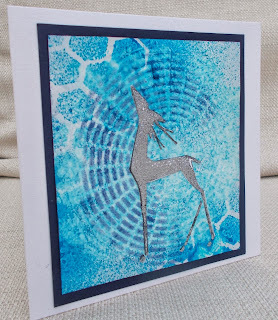 I copied the photo from the internet and brought it into the My Craft Studio programme , where I digitally punched it into an oval. I added papers and images from MCS Tinkering with Steampunk and A Very Important Date. I inked all the papers and added cogs, the title and 'tape' and a feather. Here's a card with a pumpkin Jack-O-Lantern - but honestly, I think I was well grown up before I ever saw a pumpkin. As a child, in Scotland and then the north of England, we made Jack-O-Lantern's out of swedes (called turnips in Scotland). I think they were uglier and scarier! 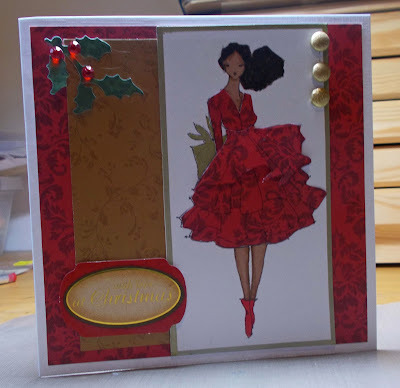 This card uses a free Dearie Dolls digi, which I paper- pieced. 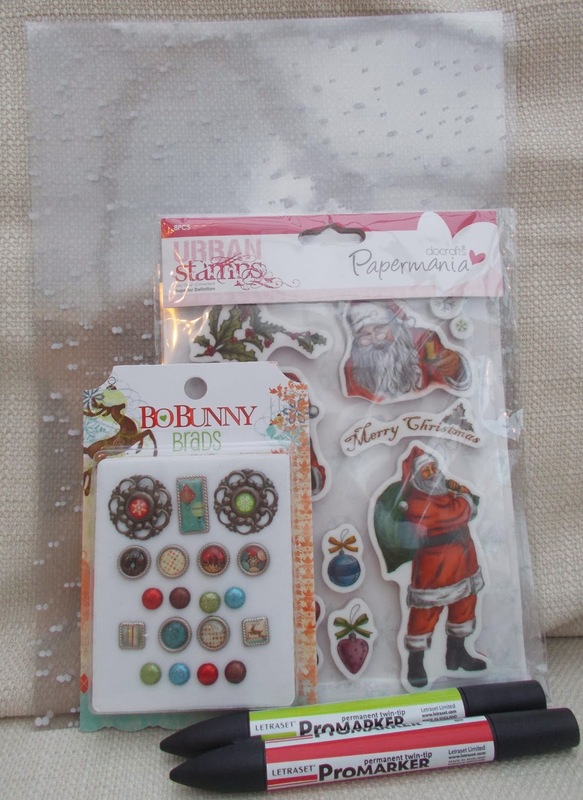 The papers were freebies from a magazine, except the spotty black, which is from a Docrafts CD. The sentiment is a Docrafts stamp, the web in the corners is a Stampin Up stamp and the spider was die cut. This week's Pinspirational Challenge is Anything Goes! 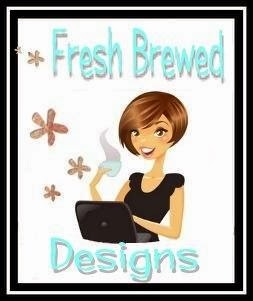 We're sponsored this week by Fresh Brewed Designs and they kindly provided the digi I've used - Wonky Christmas Tree. 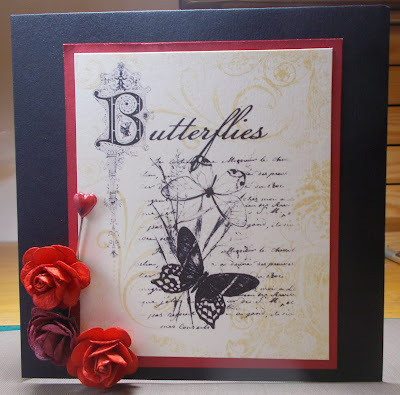 The papers are Prima North Country and I used Promarkers and an acrylic sentiment stamp. 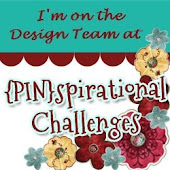 Whatever you're working on, why not come and share it with us at Pinspirational Challenges? This looks like a collage stamp, but it is , in fact, printed from My Craft Studio Quintessential Country Garden CD, onto cream card. 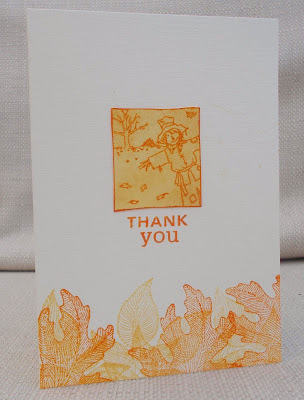 I then used various flourish stamps with Antique Linen Distress Ink. 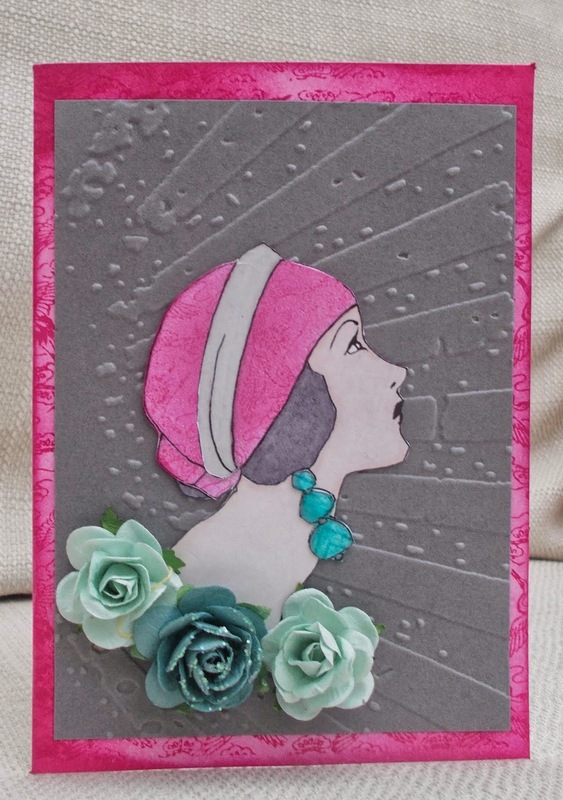 I added a heart-shaped hat pin and paper roses . It may be bucketing rain outside, but it's sunshine in my craft-room this morning. My intrepid partner has braved the weather in pursuit of his hobby and taken our son with him...so crafting time for me. I made this with Distress Inks, Indigo Blu text stamp (on the sun), Sheena Douglass bird stamp, Marianne clock die. 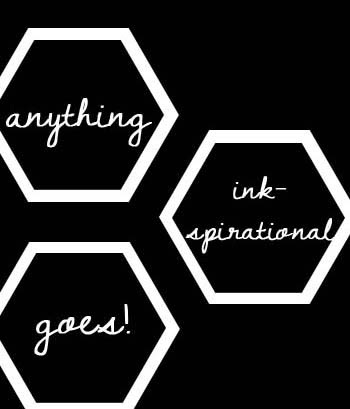 So, whatever you're working on right now, why not join us at Inkspirational Challenges? 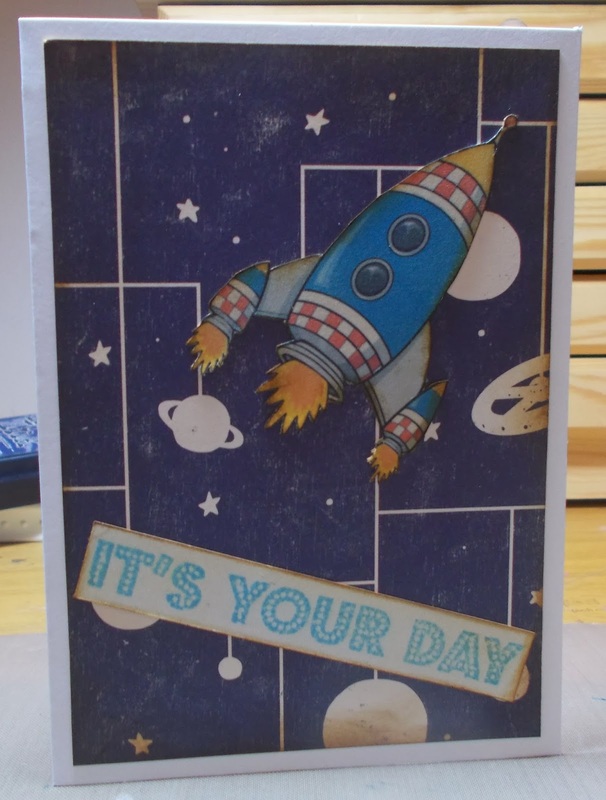 I printed this spaceship from the Crafter's Companion 'Boys' Cd - it was precoloured in lovely bright colours...but they were too bright for me. 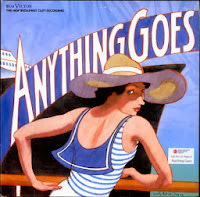 I wanted to have a more retro look - like a childhood toy rediscovered by someone who's now very grown up. So I slapped it about with Distress Inks, mounted it on some 'Rocket Age' paper by October Afternoon, stamped a Hero Arts sentiment and slapped on more ink! Despite my prolific card-making, I never seem to have enough / the right birthday cards when needed. 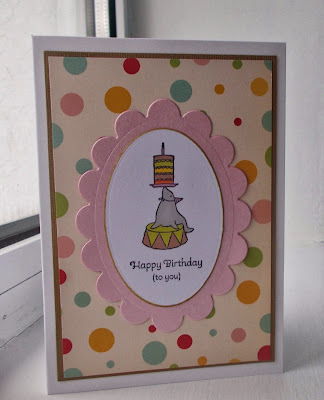 To add one to my stock, I combined two challenges : Daring Cardmakers, who have a photo of a rainbow cake (and happy birthday to Daring Cardmakers Challenge) ; and Brown Sugar Challenge, circus theme. 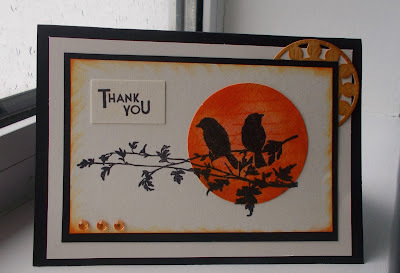 For my card I used an old Stampin Up stamp, dies, a scrap of October Afternoon paper and marker pens. And while I have your attention, can I make a shameless plug for our challenge at Inkspirational Challenges . Come and take a look. Here's a CAS (I think) autumn card, using a Little Claire stamp, two Stampin Up leaf stamps, a Personal Impressions sentiment and two colours of distress ink : Spiced Marmalade and Scattered Straw. 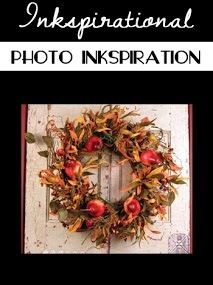 While I have your attention, can I make a shameless plug for our challenge at Inkspirational Challenges . Come and take a look. As you can see, I made two versions of this at the same time, using different cardstock. 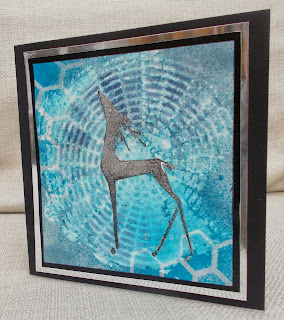 I used Distress Inks, Cosmic Shimmer Mist, white acrylic paint, two masks and my trusty old Non-Sequitur deer stamp. I sprayed them over with glitter varnish but it doesn't really show in the photos. 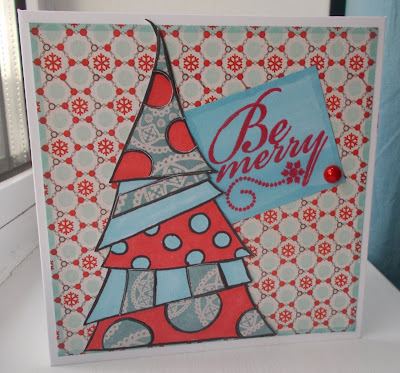 I'm probably making about one Christmas card a week now - so at this rate I'll have at least 15 by Christmas! I suppose I'll have to step up production at some stage. 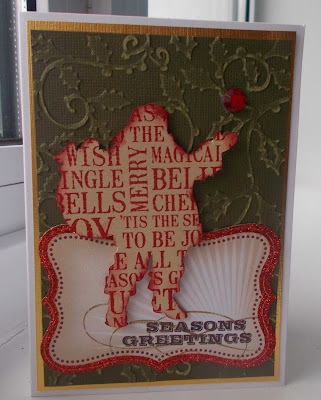 This santa silhouette is an electronic die-cut, which I stamped with a Darkroom Door word block stamp. He's standing on a bought die-cut from My Mind's Eye and the background is a Coredinations card embossed with a holly embossing folder and sanded. 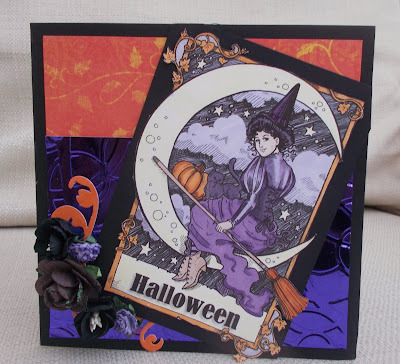 I'm an avid follower of Michelle JM's blog, so when I saw she was hosting a challenge at Ooh-la-la Creations , I wanted to join in. The challenge is 'F is for...' . This matched up nicely with another challenge I wanted to enter - Use a Fence at Little Red Wagon . I ended up with F being for fence, fairy, feather and fall. I think the creature on her shoulder is a squirrel but the one on her foot is (guessing) , a chipmunk? I'm not sure if you'd find them in autumn as I don't think we have them in England. Mind you, we don't have fairies either, especially full-size ones, which she appears to be. I used a Crafts and Me digi, die-cut fence, lots of patterned paper and Stickles on the wings and shoes. 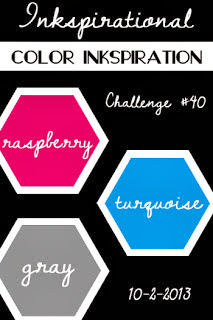 Oh - while I have your attention, can I make a shameless plug for our new challenge at Inkspirational Challenges . Come and take a look. For my card, I used an A Day For Daisies dig stamp, a Tim Holtzs embossing folder , raspberry and turquoise inks, a Judikins crane stamp, a chevron stamp and Glossy Accents (on the earrings) , Promarkers and flowers. From now on, I'm responsible (with the help of the fantastic design team) for making the Inkspirational Challenges happen - yikes! I do hope you will come along and join us. I love autumn colours. 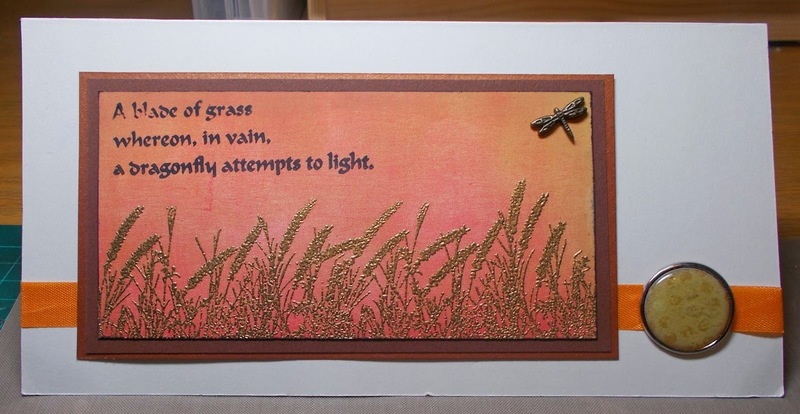 Here I used a variety of inks and a grass / grain stamp by Indigo Blu which I heat embossed in gold. The sentiment is Non-Sequitur. 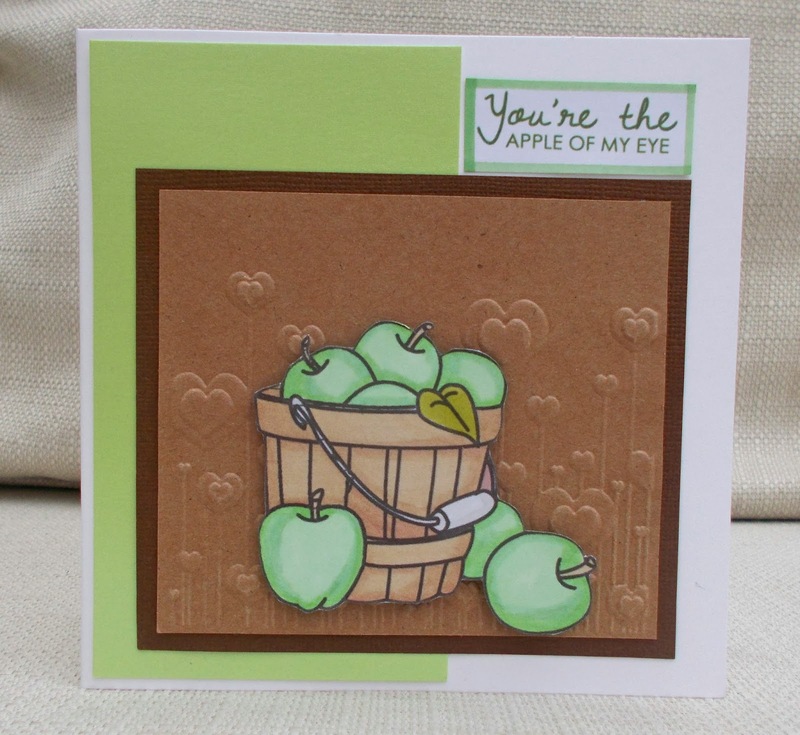 The bucket of apples was cut from a digi kindly provided by our sponsor Stamping Dragon. 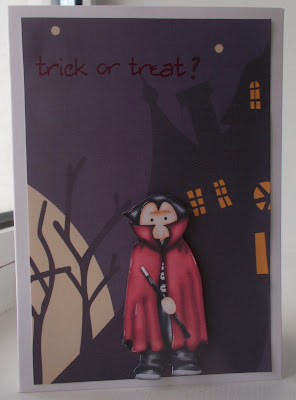 I coloured them with Promarkers and stuck them onto a background embossed with an Xcut embossing folder. The sentiment was created by Mynnette Kitchen. 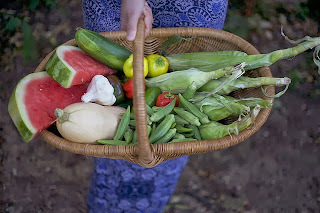 How does our photo inspire you? 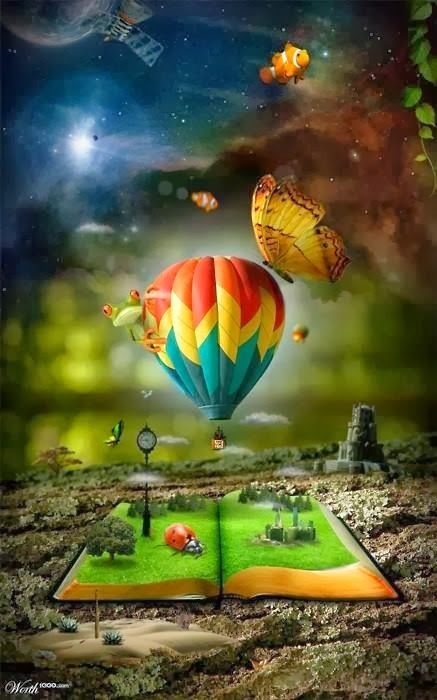 Come over to Pinspirational Challenges and join in!